Cardinale is an enchanting apartment in trulli, the biggest unit of an old farmstead just restored to its ancient beauty. It features a dining room, a fully equipped kitchen, a bedroom and a bathroom. The comfort and the refined furnishing indoor and the pool outdoor grant the guests a nice holiday to enjoy. 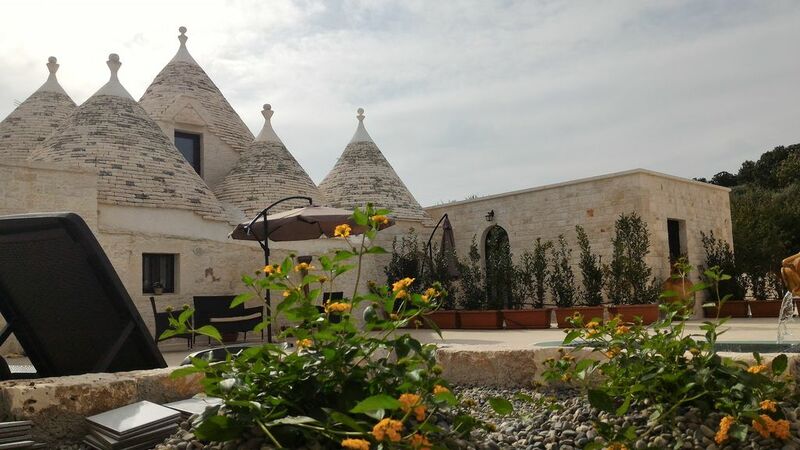 Surrounded by olive and wine yards, but not too far from the main interesting places around, Quei Trulli diVini are the perfect place to plan trips or stay and relax.